Total knee replacement (TKR) is an increasingly common procedure that reduces pain and restores function for people who have lost functional ability due to their knee pain. Because people are living longer and more active lifestyles, the demand for total knee replacement shows no signs of slowing down. After surgery, patients are back on their feet often the same day of surgery and quickly transition to home care and then outpatient physical therapy. The physical therapists at SSOR have not only taught other PT’s about therapy after TKR, but also written about it in peer-reviewed journals. 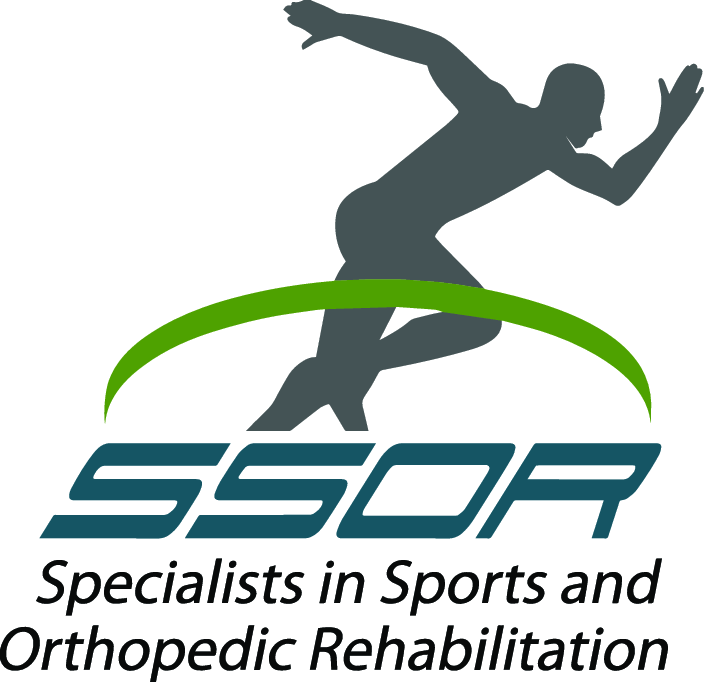 Look no further than SSOR for your rehabilitation needs after TKR. Our staff of highly-skilled orthopedic physical therapists are qualified to help you achieve your specific goals. First of all, the evidence shows that the three main areas that decline over time with total knee replacement are range of motion, strength, and balance. Because of that, the focus of the approach at SSOR is on those three impairments. While these impairments are important, SSOR gets such excellent results with our patients because of the extensive soft tissue and joint mobility manual therapy techniques that we use. The first several visits actually involve little exercise with us. Instead, we focus on the many very evident, but often unknown, areas of soft tissue limitations surrounding the knee. Because of surgery, swelling, pain, and reduced motion, the leg muscles become a quagmire of waste products and tender points. We like to tell patients that your legs are like a clogged drain and the muscles are raisin-like or like beef jerky. The leg muscles should move freely, be supple to the touch, and like filet mignon, not a raisin or jerky! The soft tissue and joint mobility techniques are certainly can be uncomfortable initially, but immediately help with pain and range of motion improvements. While restoring range of motion is a continual process, we also focus on restoring quadriceps and hip strength. One significant impairment people complain about after total knee replacement is the inability or the difficulty with descending stairs or getting up from the floor. 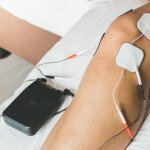 Because of the significant quadriceps weakness, we use specific strengthening techniques to restore this strength so you can resume life as you knew it and take stairs without any hesitation or visible deficit. Doing ankle weights endlessly will not help you achieve your goals. Therefore, our approach is systematic, yet progressive. In addition to quadriceps strength, we also work extensively on your hip strength. The knees attach to the hips, so the hips have to be strong as well. 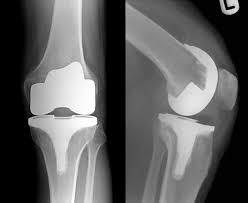 Truly, we take a total body approach to your therapy after total knee replacement. Finally, balance is a critical aspect of rehab after total knee replacement at SSOR. After total knee replacement, impairments in balance are a significant risk factor for falls, especially as you age. Therefore, we have you perform numerous activities while standing on one leg to help you develop body control so when life gives you those twists and turns, you’ll be a rock and not a Jenga tower! It would be a privilege to serve you or your loved one. Even if you are getting minimal or unsatisfactory results from current therapy, we would like the opportunity to show you how SSOR is different from other providers. Give us a call at (913) 904-1128.